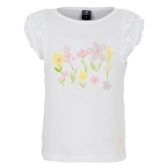 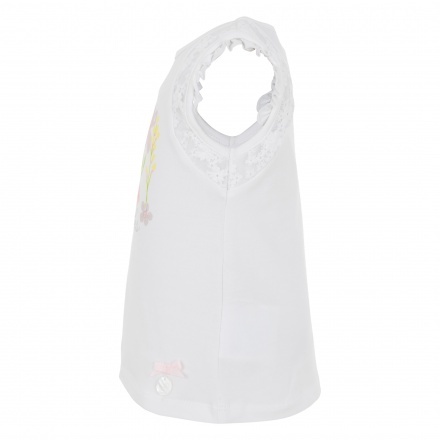 Reinvent your baby girl's everyday style with this t-shirt. 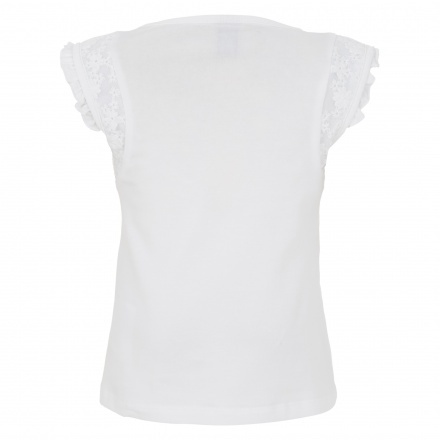 It features short sleeves with lace trimmings, a round neck and comes in a neutral shade all over. Sporting a contrast floral print, it lends a dash of colour and ensemble.